Photo: Fishing boats at anchor. Once known as the “City of Roses”, Dong Hoi suffered greatly during the Vietnam War thanks to its strategic location close to the dividing line between North and South, the DMZ. On February 11, 1965, American B-52s obliterated the city, razing it to the ground. After the bombardment only four things remained standing: a water tower, the Quang Binh Gate, Tam Toa Catholic Church and a single palm tree. You can still see the church ruins and the gate today. Perhaps they can be taken as symbols of the city’s resilience. Now the capital of Quang Binh province, Dong Hoi has risen from the ashes and is now the gateway to Phong Nha-Ke Bang National Park. The UNESCO World Heritage-listed park, 50 kilometres northwest of the city, is home to the world’s most spectacular caves. There’s no reason not to stay closer to the caves in pastoral Phong Nha town. But Dong Hoi is larger, has better value accommodation and it’s well-connected. The city is a major train stop on the North-South railway, it’s on arterial Highway 1A and it has an airport. So if you’re short on time, Phong Nha Cave, Paradise Cave and the Dark Cave are an easy day trip from Dong Hoi. All hotels and hostels here offer some sort of transport or tour. Aside from the caves, Dong Hoi has enough to hold your interest for a day, or even more during the summer months of April to October, when you can enjoy miles of beaches. 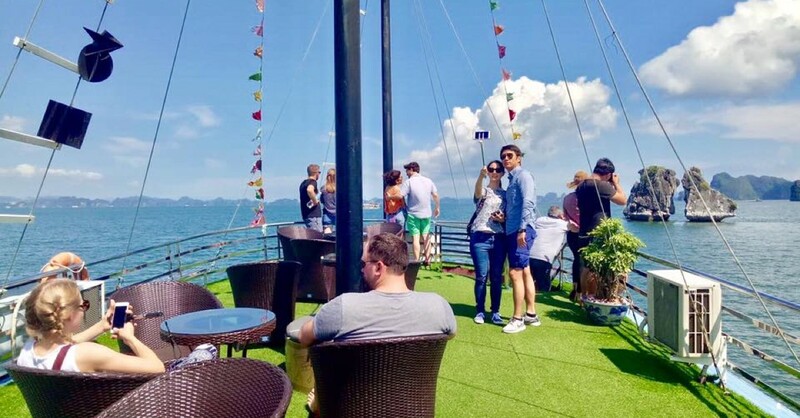 In fact, the city is gaining interest amid domestic tourists as a seaside getaway, as evidenced by an endless row of seafood restaurants on Nhat Le Beach and new sea view hotels under construction. To encourage tourism growth, the provincial government is offering a cash incentive per bed to new hotel developments. For Nhat Le Beach, head north on Nguyen Du Street, which turns into Truong Phap Street. Follow the coast for four kilometres. Here you can find a couple of chilled out beachside budget spots to stay; you’ll probably find yourself staying longer than you planned. Head north a further three kilometres for some sand dunes. Other notable beaches include Bao Ninh Beach, on the peninsula connected by the big bridge over the Nhat Le River, and Bai Da Nhay, “Jumping Rock Beach”, with unusual rock formations 30 kilometres north of the city. Designated areas where you can swim, and areas where you should not swim because of strong currents, are signposted. Be smart and obey the signs. Dong Hoi is small and if the weather is not too hot or not too cold, it’s pleasant to cycle around. Promenades run along the river and the beach. Quiet lanes wrap around moats and walls, remnants of a fortress from the Trinh-Nguyen wars. You’ll experience plenty of local flavour. Tree Hugger Cafe at 30 Nguyen Du (on the river road close to the cathedral ruins) dishes out helpful advice and a free map outlining a walking/biking route. Points of interest include busy Dong Hoi market, south on Quach Xuan Ky. Go before 05:00 to see fishermen bring in seafood that gets packed up and loaded onto trucks, destined for cities nationwide. We were told there’s a smaller second round at about 15:00 to 16:00. It’s also worth taking a look at the symbol of the city, Quang Binh Gate, built in 1631 during the Nguyen Dynasty and rebuilt in 1825. And it’s impossible to miss the ruins of Tam Toa Church, the Catholic cathedral built in 1886. There’s reason enough to linger but most travellers only spend a day or two in Dong Hoi, a stop on the way to the caves or to break up the journey between Hanoi and Hue. If you don’t have time for a full day tour of the DMZ, there’s a tourist shuttle bus (500,000 dong per person) between Dong Hoi and Hue that includes a stop at the Vinh Moc Tunnels; if there’s one thing to see, it’s this. The tunnels are a fascinating experience of what it took to survive the war. Like all central provinces, Quang Binh and Quang Tri remain heavily contaminated with UXO (unexploded ordinances) and to this day, people are regularly killed or maimed. It goes without saying that you should not go exploring off the literal beaten path. The post office is located at So 1 Tran Hung Dao Street, at the northwest corner with Ly Thuong Kiet Street. It’s open 07:00-20:00, in winter 07:00-19:30. T: (052) 3822 532. There is a concentration of ATMs and banks along Tran Hung Dao and Ly Thuong Kiet Streets. In north central coast Vietnam, cold-wet season lasts approximately from November to March, and temperatures can drop to below 10 Celsius.  Please sign up as a Travelfish member to download the Dong Hoi guide PDF (1.3 MB, 16 pages). Membership costs just A$35 per year (less than A$1 per week) and gives you access to over 250 PDF guides. Browse our independent reviews of places to stay in and around Dong Hoi. Read up on where to eat on Dong Hoi. Read up on how to get to Dong Hoi, or book your transport online with Baolau. Planning on riding a scooter in Dong Hoi? Please read this. 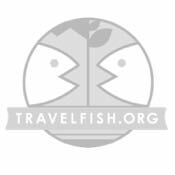 Use the above map to find specific destinations in and around Dong Hoi which are listed on Travelfish. Bed icons indicate a guesthouse, hostel or hotel, the knife and fork is an eatery or bar and the four-way circular thingy marks sights, attractions and other points of interest. Click on any icon for a short pop-up and a direct link to the page for that spot. If you are in the area, use the teardrop icon near the top left to show your position on the map (you'll need to allow position sharing for this last feature to work).